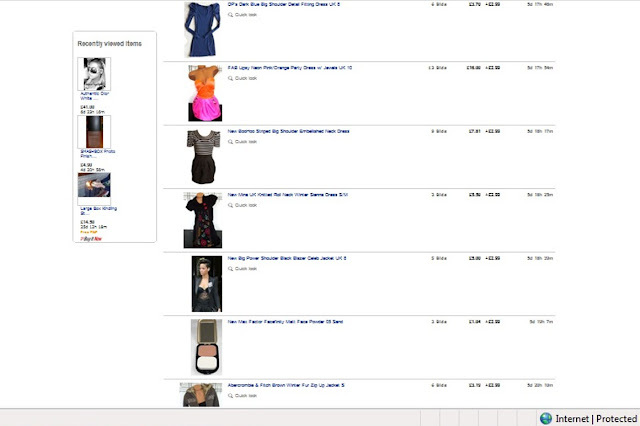 Imogen Foxy Locks: I'm Selling My Items On eBay! I am starting pretty much all my products at 99p so grab yourself a bargain. I am selling clothes, shoes, jewellery and make-up - everything is items i no longer need...it's been quite hard to say goodbye to a few things. I am trying to list more every night. I have 150+ clothes to sell!! Lots of gorgeous items including designer goods like a pair of Dior sunglasses etc! ooh will go look now!! Thank you to post your stuff on Ebay, I'm going to check it now!! Will have a look for sure.